The first major retrospective exhibition of works by Jack Vettriano opened at Kelvingrove Art Gallery and Museum in Glasgow on 21st September 2013 and ran until 23rd February 2014. 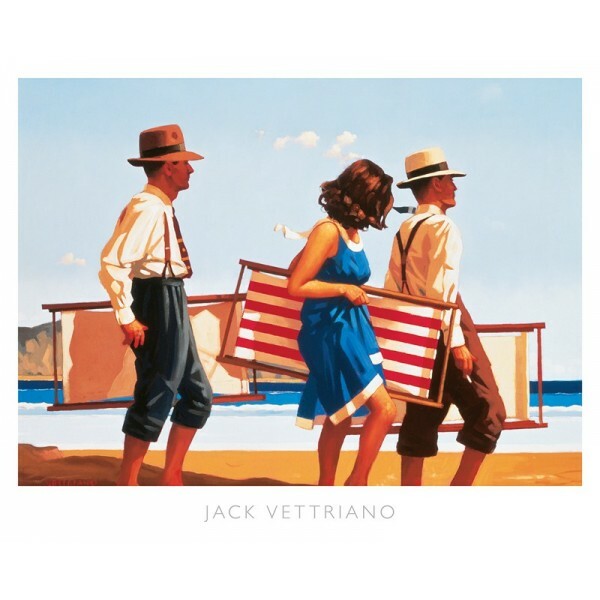 This website features only a very small selection of the 101 paintings ranging in date from 1992 to 2012 that are featured in the Retrospective exhibition and which include all of Vettriano’s most famous works gathered in from private collections around the world for the first time. Photographer – Fredi Marcarini An exhibition of portraits by Fredi Marcarini. 16th – 26th September 2010 – London. , 17 Bulstrode Street, London W1U 2JH Jack Vettriano’s Days of Wine and Roses exhibition has a distinctly continental feel featuring paintings inspired by his visits to Milan and the French Riviera alongside some of his signature darker interiors. Click HERE to watch an interview with Jack Vettriano on this exhibition. 27th March - 2nd May 2010 – Kirkcaldy Museum & Art Gallery Jack Vettriano’s Days of Wine and Roses exhibition will have a distinctly continental feel featuring paintings inspired by his visits to Milan and the French Riviera alongside some of his signature darker interiors. First exhibited in his native Fife and then laterally in London. 19 October - 22 October 2008 – London The five portraits featured by Sir Peter Blake, Rankin, Gerald Scarfe, Stella Vine and Jack Vettriano went on public display at Bonhams, Montpellier Street, London SW7. A triptych of paintings entitled, Tension, Timing, Triumph – Monaco 1971 was unveiled by HSH Prince Albert of Monaco at a private reception at the Hotel de Paris in Monaco on Wednesday 21st May 2008. June 2006 – France Vettriano had acquired a studio in the South of France during the period in which he was preparing for this exhibition. The fonetography exhibition in aid of Mencap was sponsored by Nokia in association with The Times Magazine and included photographs taken by Damon Albarn, David Bailey, Sir Peter Blake, Tracey Emin, Nan Goldin and Jack Vettriano. The contributors were each given a Nokia 7610 camera phone with which to take their photographs and their brief was simply to ‘capture the moment’. 19 June - 31 July 2004 – London Affairs of the Heart - London's Portland Gallery on 19 June to 31st August 2004. His first show for four years. This exhibition was held at the 7th Regiment Armory, Park Avenue at 67th Street, New York City, USA, 29th September to 2nd October 2001. June 2000 – London Lovers and Other Strangers, Portland Gallery, London. June 1998 (10 June – 10 July 1998) This exhibition featured the painting Dance Me To The End Of Love, one of Vettriano’s best known works. November 1996 – Hong Kong. Held at the Museum Annex. June 1996 – Private Collection These seven paintings were inspired by the life and achievements of Sir Malcolm Campbell, who gained the world land speed record at various times during the 1920′s and 1930′s. The paintings were originally commissioned by Sir Terence Conran for his Bluebird Club in London. A limited edition boxed-set of the seven Bluebird images was released on 3rd September 2010 to mark the 75th anniversary of Malcolm Campbell’s final World Land Speed record broken at Bonneville in 1935. 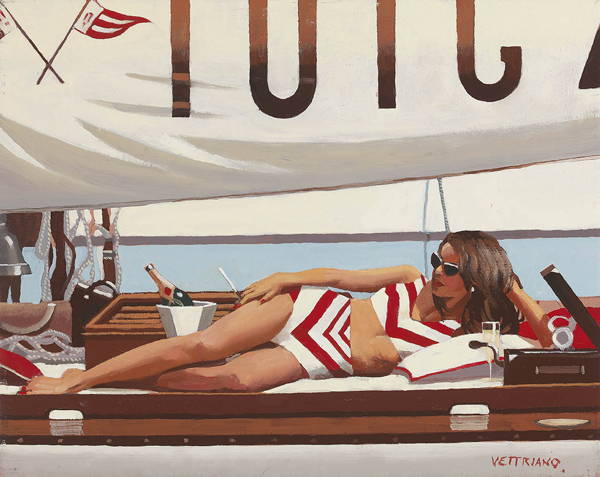 27 May - 15 June 1996 – London A total of 51 new Vettriano paintings were exhibited at the Portland Gallery including The Road to Nowhere and The Red Room. October 1994 – London This exhibition featured the painting The Billy Boys, one of Vettriano’s best known works and was held at The Portland Gallery in London. 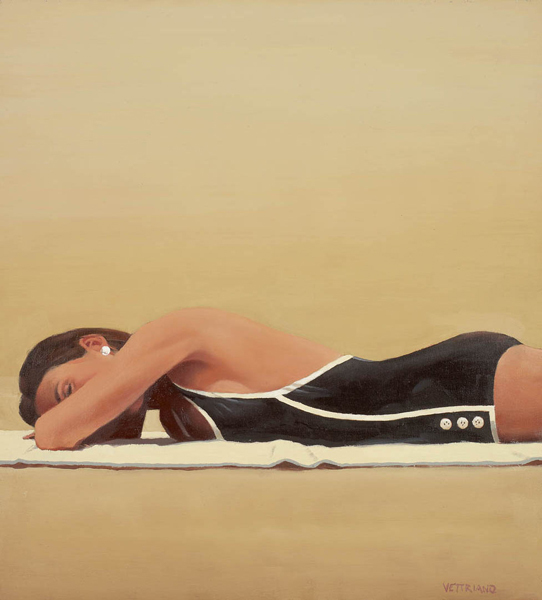 Summers Remembered – an exhibition of oil paintings by Jack Vettriano, Corrymella Scott Gallery, 12th Nov – 3rd Dec 1993. May 1993 – London This was Vettriano’s second exhibition in London and his first with The Catto Gallery. 2 October - 11 October 1992 – London This was Vettriano’s first exhibition in London and featured The Singing Butler, his best known painting.